The House of Commons Science and Technology Committee and the Royal Society of Biology recently hosted the fifth Voice of the Future event. This is a unique event, where the normal select committee format is reversed, and MPs and civil servants answer the questions of early career researchers. The event was opened by the wonderfully charismatic Speaker of the House of Commons, John Bercow. He gave a real sense of occasion to the event and was profuse in his thanks to Dr Stephen Benn, director of parliamentary affairs at the RSB, for organising it. Session One began with an introduction from Sir Mark Walport, Government Chief Scientific Advisor, before the questions started. Early on, Sir Mark made the important point that scientific evidence is only one of several factors that is considered during a policy-making process, and that other considerations, such as whether a policy is deliverable or if it aligns with the values of the governing party are equally, if not more, important. It’s probably safe to say that many scientists, myself included, consider scientific evidence to be an undisputed priority when it comes to policy-making, and we often take it for granted that everyone thinks as we do. The second panel was comprised of members of the Science and Technology Select Committee, chaired by Nicola Blackwood MP. The first question focused on improving dialogue between scientists and policymakers. Blackwood recognised this as an urgent issue, stating that there were too many scientists who feel that politicians are not interested in science policy. She went on to praise the Royal Society Pairing Scheme, declaring that she personally found it extremely useful and has maintained links with scientists she had previously been paired with on the scheme. When asked about the possible Brexit, most of the panel were vocal in their support of the EU, citing the benefits of increased collaboration, funding and travel between institutions. Chris Green MP opposed this view, saying that membership of the EU is not required for scientific collaboration per se, and that the UK gets less structural funding from the EU than many Eastern European member states. 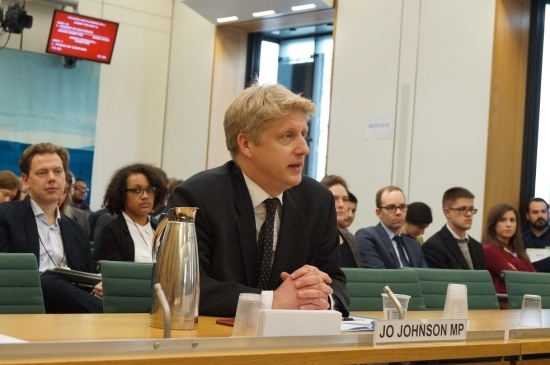 For the third session of the day, the witness was Jo Johnson, Minister of State for Universities and Science. Early on, he was questioned on the potential negative impacts of immigration restrictions on science and engineering. Johnson explained that the special provisions in the current immigration rules would remain and that applicants with PhDs would have preferential treatment during the visa process. He went on to state that he supports the UK staying in the EU, which probably came as a relief to many in the room! 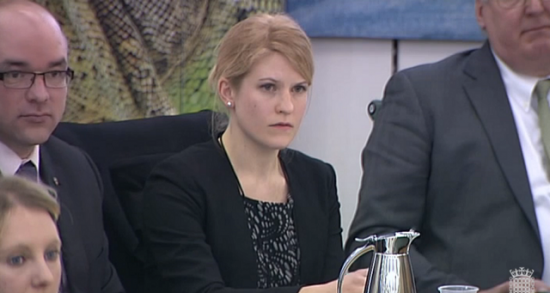 The final witness was Yvonne Fovargue MP, Shadow Minister for Business Innovation and Skills. Asked whether she thought the Government should consider lowering the £35,000 income threshold for non-EEA immigrants on a Tier 2 Visa, Fovargue stated her concerns that this requirement exacerbates the perception that the UK is no longer ‘open’ and that it could discourage people applying for visas. The final question was on improving diversity in science. Fovargue proposed that there should be more careers advice available to younger students and that work experience opportunities should be available to all, regardless of a student’s background, which was an excellent note to end on. The event has made me much more determined to get involved with science policy, and to consider it as a career. I would like to take this opportunity to thank the RSB for the opportunity to attend such an inspiring and stimulating event. Find out more about Voice of the Future and the special message from Tim Peake.